If you only paid attention to newspaper headlines you would be forgiven for thinking that the retail sector is collapsing one store at a time. The truth, as always, is not black and white. Some businesses have failed to adapt to changing market forces, whereas others have embraced them. While ASOS, Boohoo, Primark and Ted Baker have all recently posted positive earnings, it is companies such as Marks and Spencer, Mothercare and New Look whose poor results get the most attention. But why are some succeeding while others are falling by the wayside? Take New Look. 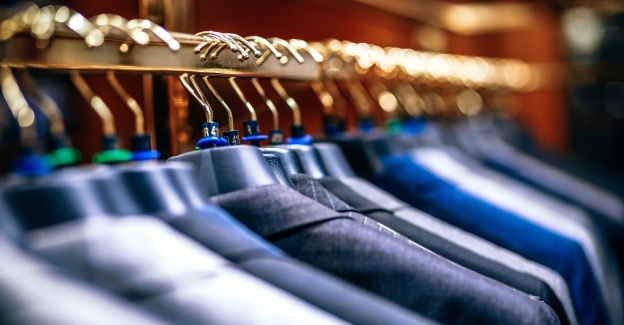 The troubled fashion retailer announced an annual loss of £235m in June 2018 and a number of shops have shut down. The company also saw a 20-percent drop in website sales. Speaking on the results, Executive Chairman Alistair McGeorge said: “We lost connection with our core customers and got our stock packages wrong.” He also blamed a poorly executed attempt to target a younger audience. During the same period, rival retailer Boohoo, owner of the PrettyLittleThings and Nasty Gal brands, saw overall revenue jump 52 percent in the three months. The company has reported strong revenue growth and market share gains across all markets, with U.K. sales up 49 percent and international sales up by 60 percent. Understanding their customers allowed Boohoo to provide the best possible experience for them. They created a clear market proposition that leaves little room for confusion. Boohoo focused on targeting a new generation of customers through innovative marketing campaigns and social media channels. While Boohoo, PrettyLittleThings and Nasty Gal all operate under the same parent company, they each target a separate customer niche. Their multi-channel approach ensures they meet their customers’ needs and they have leveraged this focus to deliver above-market rates of growth. New Look, on the other hand, alienated loyal customers by targeting a new demographic, with a limited understanding of the market and no discernible unique selling proposition. They also raised then dropped prices when they saw their strategy was not working – further adding confusion for their customers. The key, as always, is listening to your customers and that does not just mean moving everything online. Brick-and-mortar stores and online shop fronts offer distinct advantages to different customers, but the two are likely to co-exist in the future. Striking the right balance between them will be a challenge for the retail industry, particularly for large, slow-moving businesses, which have long operated under the same model. Technology, and more importantly, the rapid adoption of this technology, means expectations and preferences are evolving at a great pace. The need to be flexible and listen to customers has never been greater, whether it is in the way retailers arrange their products on the shelves, the types of promotions they run or the experience created in the physical stores. Thankfully, retailers exist within a world where data is readily available. As seen in the examples above, those managing to thrive are those who are able to leverage this data, understand their customers and provide them with a clear value proposition that enables them to engage with the retailer, be it online or in store. Milan Panchmatia is Managing Partner at 4C Associates, an award-winning management consultancy specialising in procurement, savings delivery and managed services. Milan has over 20 years’ experience in working with global brands and world-class marketers, delivering ATL/BTL and Digital projects. His breadth of experience comes from working in procurement, management consultancy and creative agencies, and he has worked with a wide variety of clients including Coca-Cola, Diageo, J&J, BMW, Honda, Orange and Castrol. Milan focuses on providing clients with truly actionable insights at both a strategic and tactical level and delivering cost savings and increased value from marketing spend.